← Huddle Tip of the Day – Is Any 2x Card Still Worth Keeping? Bunt Update – Is This The Golden Age of Sigs? I havent done a Bunt related post recently, and I am really sorry for that. Huddle has consumed my every waking minute, and I feel like I have missed some of the major fireworks recently in Bunt. They have released some EPIC cards as of late, and they deserve some major attention. 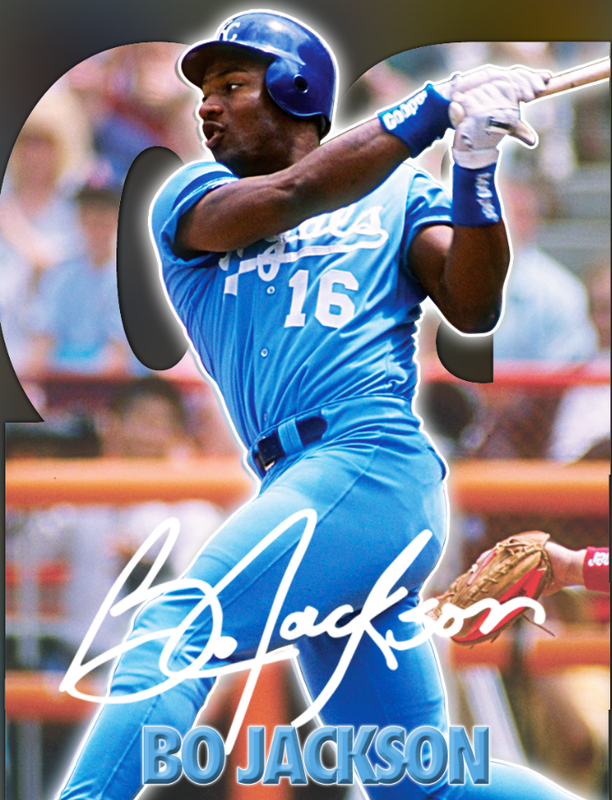 When I saw they started doing die cut sigs for HOF and retired players, my ears perked up. There is something about the history of baseball that still rings a chord with many of the physical card collectors out there, and I see that is similar for Bunt now. 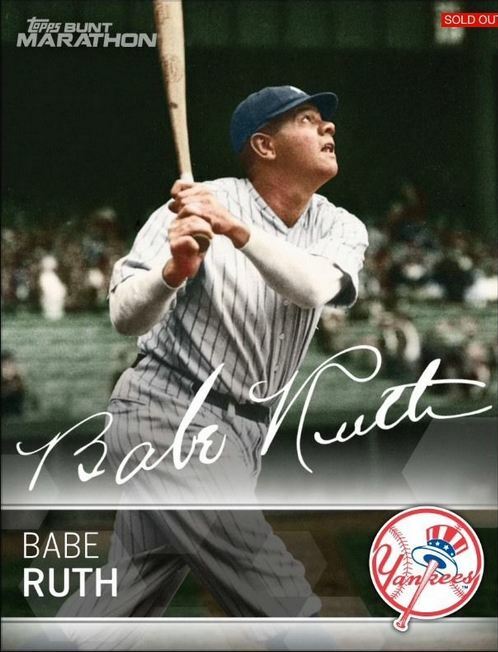 With the release of sigs for Ken Griffey Jr, Babe Ruth, Lou Gherig and Cal Ripken, I have to say that this might be the golden age for which one should be a sig collector on Bunt. 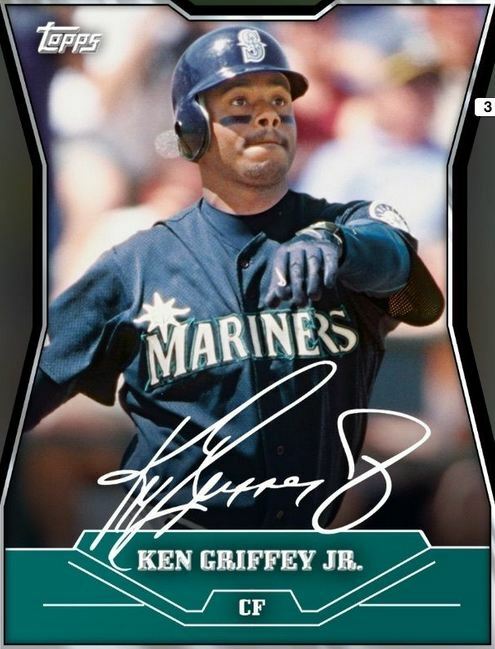 After a season of Bunt where the entire world revolved around the weekly release of the signature series card, I am one to believe that this was the year for players who loved the chase. It may be that they also loved playing for points like I did, but these sigs were something not of this world. The designs have been top notch, and the checklist seemed to get better with each passing week. It was such a huge success, that Huddle has taken up the mantle as well. People love collecting the chase cards of their favorite team, and with the advent of the season long chase, I think we all got to see how important these cards could be in the economy of the game. 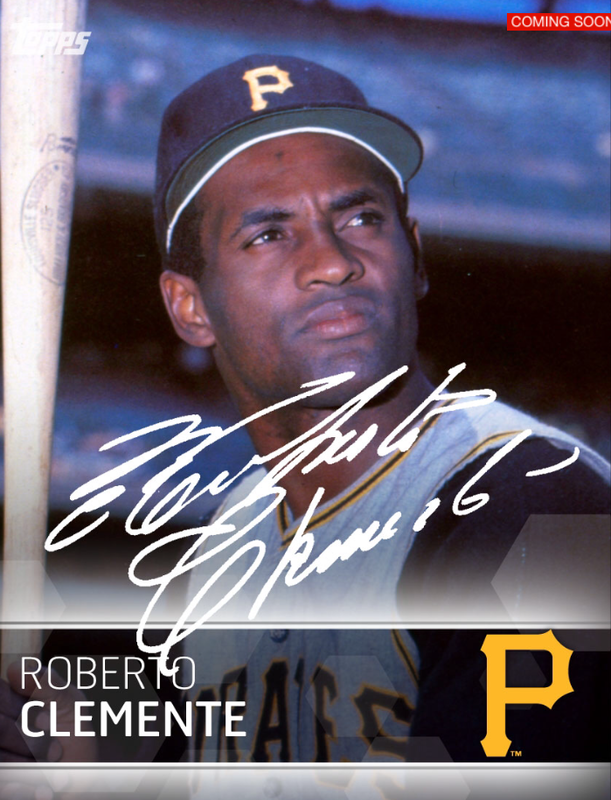 The Roberto Clemente reward sig might have been one of my favorite cards all year. Many people have expressed some discontent with the rarity of the recent sig releases, amplified further by gold variant sigs with even lower counts – but that is where the fun truly lies! If each of these cards had 500 counts, they wouldnt be the chase that they are right now. I am a fan of low count cards because of the challenge to acquire them, as it becomes tedious more than anything when the sets become easy. Bunt has big shoes to fill for 2015, and I am eager to see how they will be using recent technology like the Parallax effect to make the sigs fresh for a new year. I guess we will have to wait and see! 8 Responses to Bunt Update – Is This The Golden Age of Sigs? The newer sigs are great, but it has also flooded the sig market. If you include the Gold die cuts, there have been 25 released since the end of the Postseason. Once again, love them, but there is no reason to release a new Maddux or Jackie Sig (and Clemente released today) when they already have sigs this year. Also, the season long Clemente #’d at 50 was the 3rd rarest sig all year next to Berra and Cabrera… and then they release 11 Gold die cuts in the span of 3 weeks with lower counts. Frustruating, considering what I gave up to get Clemente. I agree with Smada above – particularly with the Clemente. It was the last straw for me and I’m d-o-n-e….DONE. Why collect all the useless and unwanted sigs to get Clemente only to see it devalued? Did I say done? You guys are really being unreasonable here. Did you all REALLY think they wouldnt release more cards of Clemente, especially with how few people got a chance to obtain the first sig? I mean, that card remains one of the most insanely valuable cards in the game, and it wasnt “cheapened” by a release of another card. This is a completely different set with a completely different approach. I mean, if they made a second 2014 Trout Sig with a higher card count, would that all of a sudden cheapen the original? Not to me. In fact, it would only make it more valuable, because it would be a badge that you were there the first time around. That speaks louder than any second release could ever speak. I think you all are vastly overreacting here, just my opinion. I love the new die cut sigs. I am very frustrated with Topps for the number of series they come out with…it is clearly a money grab on their part. I do love these cards though and love the players they are choosing! This is a great article by the way! Thanks! I will also say you are doing a great job on here! I appreciated the resource and your perspective – even with a 90+ score and 4+ trader rating. You’re blog should be read by more people/users. Thanks my man! Appreciate the support! I know you werent trying to call me out – just wanted to respond.